In his four National League and one American League seasons, Atlanta native Bob Barrett was primarily a third baseman (144 games), but played 31 games at second base, and 14 at first base. He made one putout in one chance in the one game he played in the outfield. He hit for a .260 batting average (.296 on-base percentage) with 86 runs batted in during his 239 big-league games from 1923 to 1929. Robert Schley Barrett was born on January 27, 1899, the second son of at least seven children of railroad shop machinist Robert Pittman Barrett and his wife Lenora "Leena" Jett Barrett. His parents lived at the time in the home of Bob's grandfather Isaac Barrett, a carpenter who had come to Georgia from North Carolina. After semipro play, his first year in pro ball was 1922 with the Little Rock Travelers. He played in 93 games for the Southern Association team, batting .282 with eight home runs. The team, under manager Kid Elberfeld, finished fourth in the eight-team league. Barrett was a right-hander who stood one inch short of six feet tall and is listed at 175 pounds. Indeed, that was his role. He played in 54 games for the 1924 Cubs, 25 at second, 10 at first base, and eight at third. He was far from surefire with the glove, committing 13 errors in 217 chances. He hit .241 with five homers and 21 RBIs, including driving in all four runs in the 4-1 win over Brooklyn at Ebbets Field on July 31, with a two-run homer and a two-run triple in four at-bats. It was by far his biggest day. Another big day had come before the season began – Barrett married Ruby Irene Brewer on February 13, 1924. He hit pretty well in 1925, only dipping under .300 once, and was batting .313 with seven RBIs when he became the player to be named later and was shipped to the Brooklyn Robins on May 22 to complete a deal made on May 9 when Brooklyn had sent Tommy Griffith to the Cubs. Brooklyn didn't use him much at all – he got into just one game, on June 2. It was at Ebbets Field against the visiting Giants. 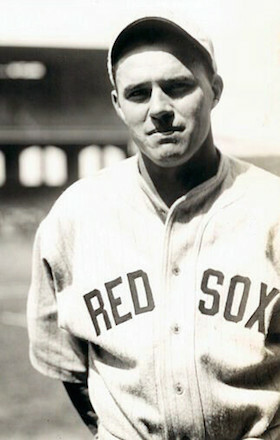 It had been expected from the start that Brooklyn manager Wilbert Robinson was planning to use Barrett in yet another trade, to the Boston Braves, since Barrett was the team's eighth infielder. His one appearance helped lead to a win. He was asked to pinch hit in the bottom of the ninth with a runner on third base and the score Giants 5, Brooklyn 4. He grounded out, second to first, but the tying run scored and sent the game into extra innings where Brooklyn won in the 11th. On June 16, he was released to Memphis, on option. He had time to get into 82 games, and hit for a .306 average with five home runs. Barrett played for Memphis in 1926, too. In 1927, Brooklyn kept him in the big leagues and he made an impact as early as April 20, his two-run bounce home run off Charlie Robertson giving the Robins enough to beat the Braves, 4-3. He played in 99 games, hitting .259 with 38 runs batted in and five home runs. Between Christmas and New Year's, he was released to Buffalo.7 Barrett had a good year for the Bisons , batting .310 with 19 homers – more than double any other season – in 139 games. He was drafted again in the Rule 5 draft, this time by the Boston Red Sox on October 3. The Red Sox expected him to contend for the second-base position, or maybe third, once they got to Bradenton for spring training. The thoughts about Barrett, though, had shifted a bit over time. Now it was said, "while Bob can hit a bit he is not so good as a fielder or runner, and these deficiencies will hurt him. "8 Later in the spring, they tried him out at first base. This was a Red Sox team, entering its third season under Bill Carrigan, that had only once in the preceding seven seasons finished higher than eighth place (seventh in 1924). They were a team in need of a lot of things. He made the team as a true utility man, appearing in 34 games at third base, four at first, two at second, and one in left field. He also pinch hit 27 times. His last game in the majors was on August 1. He hit for a decent .270 average with 19 RBIs, but for the Red Sox he never hit a homer. Three of the runs he drove in helped beat the Athletics, 5-4, on May 28, but this was a Red Sox team that again finished last (58-96). They really didn't need him that much and on August 2, they outrighted him to Buffalo where he hit .333 in 49 games. Barrett began 1930 playing third base for the Bisons, including the first night game at Buffalo on July 3, until July 21 when he was traded to the Newark Bears (rivals in the International League) for Ralph Shinners and Russell Wrightstone.9 On July 24, he played in the first night game in the New York metropolitan area in front of 10,000 at Jersey City.10 Though he'd been 0-for-3 in the night game at Buffalo, he doubled and homered on the 24th. He had a good year, his combined I.L. stats showing a .337 batting average with nine home runs, in 131 games. He played in 144 games in 1931, his first full season with Newark and hit the same number of home runs (including a ninth-inning walk-off grand slam on July 29 against Baltimore) but saw his average drop dramatically, to .261. The Bears came in second, just two games behind Rochester. In 1932, still with the Bears, he bumped that up to .281 as Newark won the International League pennant, by a very comfortable 15 ½ games over Baltimore. Newark beat the American Association pennant-winning Minneapolis Millers in the Little World Series but Marvin Owen had taken over playing third base for the Bears, and it was Owen's home run that won the sixth and final game. His last year of baseball was, he reported on his Hall of Fame player questionnaire, in 1934. . The Howe Sports Bureau reports he appeared in eight games for Fort Worth that year. Ruby and Bob Barrett had two children that we know of – Robert Jr. and Betty. As of the time of the 1940 census, he was living in Atlanta and working as a waiter at a restaurant. Later, he became a steamfitter. Barrett died on January 18, 1982, in Atlanta. In addition to the sources noted in this biography, the author also accessed Barrett's player file and player questionnaire from the National Baseball Hall of Fame, the Encyclopedia of Minor League Baseball, Retrosheet.org, Baseball-Reference.com, and the SABR Minor Leagues Database, accessed online at Baseball-Reference.com. 1 Barrett underscored the word "after" on his player questionnaire. 2 Chicago Tribune, March 4, 1923. 3 Chicago Tribune, March 7, 1923. 4 Omaha World Herald, July 25, 1923. 5 Chicago Tribune, February 24, 1924. 6 Chicago Tribune, March 14, 1924. 7 Macon Telegraph, December 28, 1927. 8 San Francisco Chronicle, March 22, 1929. 9 New York Times, July 22, 1930. 10 New York Times, July 25, 1930. 11 The Sporting News, May 25, 1933, 3. 12 See The Sporting News, October 19, 1933, 7. The Howe Sports Bureau put his fielding percentage at .941.